To change the Freezer's temperature, touch the Freezer button. Touch the Freezer button until you reach your desired temperature. You can set the temperature between -8 ºF and 8 ºF. The temperature will move 2 ºF with each press. 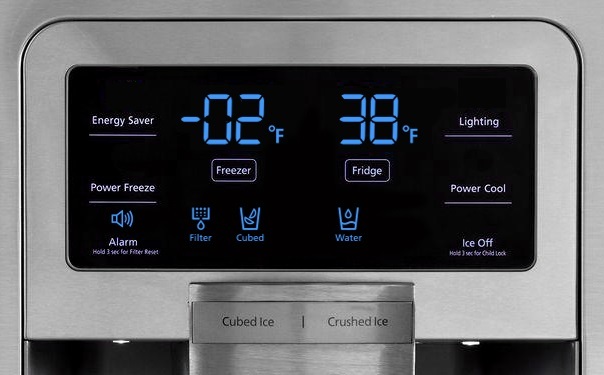 Your new Freezer temperature will be shown on the display.